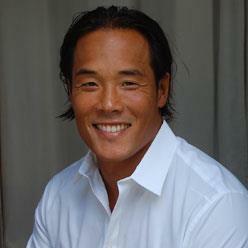 Robert Yang specializes in nutrition and strength and conditioning. His integrative and individualized programs have helped athletes and individuals improve performance, prevent injuries, and improve health and vitality. Robert is a sought after presenter and lectures nationally and internationally on the topics of nutrition, rehabilitation, corrective exercise, and performance enhancement. He is an advisory board member for the Titleist Performance Institute and the National Pitching Association. Robert has appeared in numerous radio and television segments such as the Golf Channel. Robert has been published in magazines such as Golf Digest and Natural Solutions Magazine (Formerly Alternative Medicine Magazine). As an athlete, husband and father Robert understands the needs of his clients and strives to stay on the cutting edge of training, supplementation, nutrition, rehabilitation and performance enhancement. Robert is continually traveling, researching, and studying the best methods to help individuals achieve their ultimate goal.